Lytro’s Light Field Camera is on its way to Germany, which basically marks the beginning of European distribution and, finally, a more direct way to get your hands on the camera within the European Union. Being one of the first Lytro users in Europe (my camera was shipped with the second batch in April 2012), I’d like to celebrate the occasion with an extensive review after 15 months with the Lytro camera. If you’ve never come across the term “light field” before, i’d like to point you to our page What is the Light Field?. In short, the camera doesn’t just record the position of light ras on the sensor, but also the direction of said light rays. This enables exciting new possibilities in conjunction with sophisticated image processing, including software refocus (being able to change the focus after taking your picture), perspective shift and 3D. The Lytro camera records 11 million light rays (11 Megarays) and uses the gathered information to create a final, interactive image of 1080 x 1080 pixels, but with far more information than conventional images. It uses a constant f/2 lens (read: lots of light for the sensor) with 8x zoom, a 38.5 mm touch screen, WiFi chip and 8 or 16 GB of internal memory (space for 350 and 750 images, respectively), depending on the model. 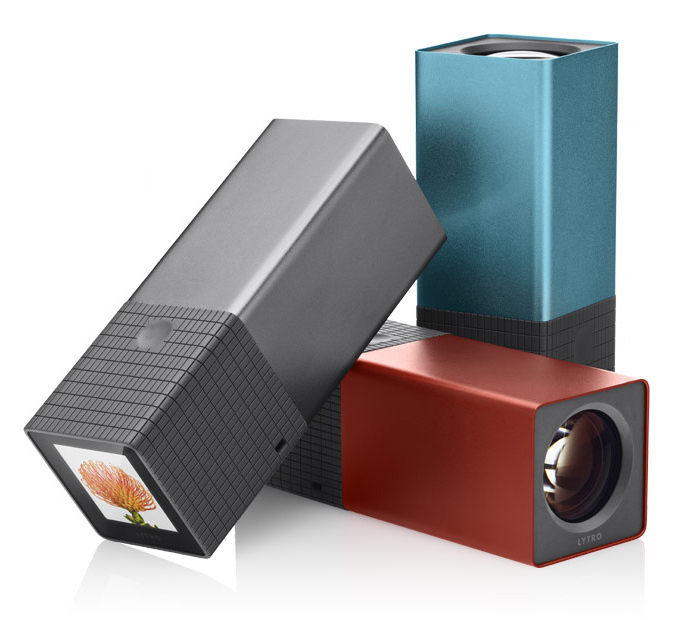 More details and specifications are available on our product page: Lytro Light Field Camera. Lytro reportedly adhered to one big role model when designing the camera: Apple. The camear’s design is very sleek and elegant. With its unconventional, unique looks it attracts attention, which means that the first question of an interested passer-by is often posed before you’ve even taken your picture. The exterior of Lytro’s first-generation camera is reduced to the bare necessities: The coloured aluminium-chassis contains the optical system, and the anti-slip silicon section in the back is home to the sensor, battery and electronics. The protective, square lens cap is held to the front of the lens by way of four magnets. There are 4 control elements on the camera: The on/off button on the lower side (right next to the micro-usb connector), the shutter button (which also switches the camera on) and touch zoom slider on the upper side, and the touch screen display on its back. Thanks to swiping and tapping, the interface is generally very intuitive. For example, if a picture is taken, it is animated to fly off to the left of the display. To review same picture, just swipe from left to right and pull it back in. Similarly, the general control dock can be pulled up from the bottom of the display. Instead of words, clear symbols (e.g. depicting the battery status, available storage or the trash bin) give a quick overview of the available features. Advanced controls (shutter time, ISO light sensitivity, ND filter, self-timer) were added over the course of the last year through firmware updates, and are now standard features of the camera. When taking pictures, you’ll probably notice one thing first: the camera is always ready, and takes pictures without any shutter lag. When it’s “freshly” activated after some time, less than two seconds will pass between switching it on and the first possible shutter release. It’s even faster when waking up from standby mode. A picture is generally focussed after the fact, so there’s no need to get your subject in focus before pressing the shutter button. Thus, the shutter is actuated instantly when the shutter button is pressed. This makes snapshots possible, that you might have otherwise missed. In the advanced Creative Mode, which gives users more control of a picture’s refocus range, the picture is first focused by tapping on the screen. This process takes about 2-3 seconds. Taking pictures that effectively make use of the light field’s features and possibilities may require some rethinking of traditional photography strategies: Light field pictures look best if they show spatial depth, i.e. objects in varying distances between 12 cm and (optical) infinity (>2 m). Such pictures produce good refocus effect and three-dimensional impressions (important for perspective shift and 3D display). In the beginning, it may be helpful to “take a step back” from two-dimensional image composition and consciously experience situations in three dimensions. After a short while, this will become second-nature. As mentioned before, there’s no need to focus before taking a picture. This means that once you’ve positioned the lens within at least 12 cm of your closest subject, you can fully concentrate on getting your composition and timing (especially with moving subjects) right. Using focal blur to hide distracting elements in a picture, as you may be used to do with a digital SLR, is not as easy as before: Your viewers can interactively change the focus to any parts of an image (within the refocus range) and explore the scene for themselves. In Creative Mode, it’s possible to choose a refocus range that allows you to effectively (and permanently) use blur to fix such an image. 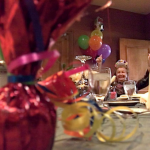 You can review and refocus the pictures you’ve just taken directly on the camera. For a closer look and more features (e.g. perspective shift or interactive “Living Filters”, they need to be transferred to a computer (using the micro-USB cable and Lytro Software) or smartphone (via WiFi and the new iPhone-App). Because the recorded information is much richer than in traditional images, the files cannot be simply saved as JPGs. Instead, they’re stored as light field picture files (LFP), which can be opened and viewed with Lytro’s free Desktop Software (Windows 7 64-bit or higher, Mac OS 10.7 or higher). The initial processing of a light field picture on your computer can take a few minutes, depending on your system. After it’s complete, the images are typically loaded and displayed within a few seconds. Using the Desktop Software (and also the iPhone App), you can also add a perspective effect (called perspective shift) to your pictures. Basically, you can move the point of view a few centimeters in four directions (up/down, left/right). Additionally, “Living Filters” which interactively change the picture depending on focus and perspective, can be applied to your images.. Some social networking sites (e.g. facebook and Twitter) load shared Living Pictures directly in your status update, for other services (e.g. Google+ and pinterest) Lytro provides Chrome plugins to add this functionality. Lytro’s recently released iOS App also allows you to export pictures as animated GIFs which demonstrate the refocus or perspective shift effects. Light field pictures can also be exported as “flat” JPG files in HD-resolution (1080 x 1080). The quality of light field pictures is, theoretically, much better than with traditional pictures. That’s because a single pixel in the final image is computed from several pixels on the sensor. This is especially advantageous in low light situations. At the current stage of Lytro technology, however, the image quality (colour reproduction, image noise, sharpness) is still in the range of middle-class smartphone cameras. As long as there’s enough daylight, the camera produces beautiful images. As it gets darker, however, the usual drawbacks (esp. noise) are to be expected. The End of Bad Pictures? 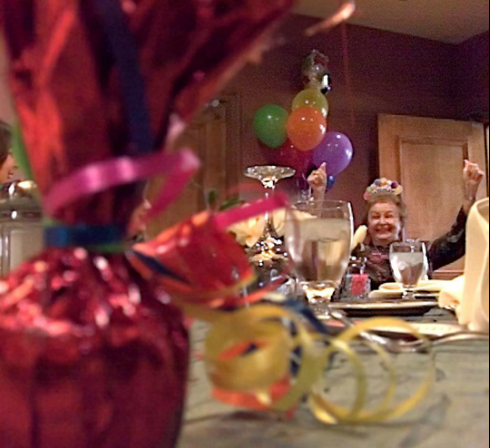 Media often portrays the camera as the end of bad picture-taking. 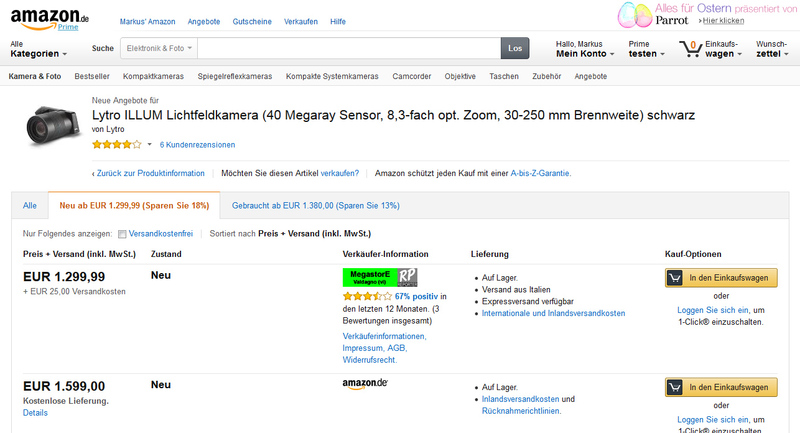 “Never take unsharp or wrongly focused pictures again,” some reports read. Unfortunately, that’s not entirely true. The possibility to choose your focal plane in retrospect really has the potential of making wrongly-focused images a thing of the past. However, that’s not the only criterium for a good picture: There’s also motion blur (i.e. shaking the camera during the picture taking process), the inadvertent undercutting of the minimum focus distance, askew horizons, or simply bad composition, to name a few. Not even light field technology can solve these problems (yet?). The End of Traditional Digital Cameras? 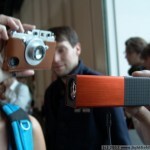 Does the Lytro camera mark the end of conventional digital cameras? We don’t think so. It’s important to note, however, that it doesn’t really want to that (yet). Its unique technology and features are designed for a different area of application than traditional cameras. To effectively use refocus, perspective and 3d-effects, light field pictures require depth, and subjects at different distances from the lens. An ordinary landscape picture, taken with the Lytro camera, still remains a flat (and square) picture without noteworthy possibilities for interaction. If you do add spatial depth and fore-/background objects to the scene, your image becomes like a window that allows viewers to explore for themselves. The “lack” of megapixels in the effective image also shows that the camera was primarily designed for something different than just printing flat images. It’s all about interaction and experiencing on a display, and that doesn’t require 8 megapixels. Of course, we expect future technological advances to eventually bring light field technology to all cameras, allowing poster-sized prints, but that’s an application that doesn’t involve the viewer as much, and it’s not something the technology is ready for, yet. In short: The Lytro camera is no replacement for your point-and-shoot camera. Rather, it’s a creative addition. 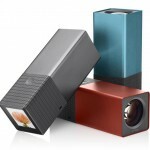 The Lytro Light Field Camera is the world’s first plenoptic camera that is affordable for consumers. Like any first-generation product, the camera has a few flaws, but at the same time opens exciting new possibilities. Let’s start with the cons. Effective image resolution is probably the most frequent point of criticism. At HD resolution, it is quite low compared to other cameras, but it does fit the job description: creating images that can be shared online and interacted with on a display. The camera display is a bit small, and doesn’t provide very good visibility in bright daylight. Rotating the camera 90 degrees may help with brightness, but that still doesn’t make it a high-resolution Super-AMOLED display. The transfer and processing of many light field pictures can take some time. The faster your computer and system, the shorter the processing time. 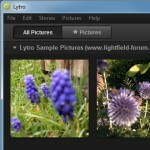 Picture analysis and sharing is (currently) only possible with Lytro’s own Desktop Software. At least, until the technology moves further into the mainstream and third party companies, e.g. ” target=”_blank”>Adobe support the file format. To us, the most important Pro is innovation. Never before was it possible to do so much with one single-lens exposure. The level of technological progress is exciting by itself, but it also opens new ways of creativity for photographers and an individual, interactive experience for viewers. The instant shutter is extremely handy when taking pictures of moving subjects. In combination with not having to focus first, it enables the photographer to concentrate on the important things: good composition and perfect timing. 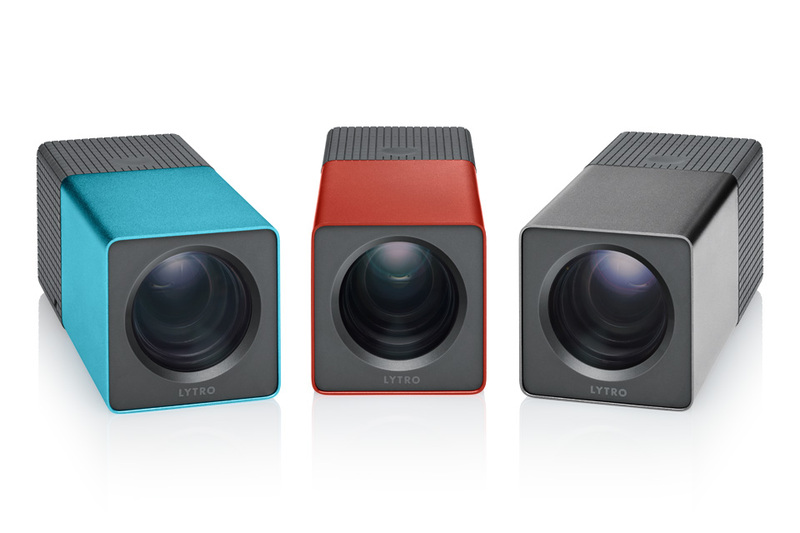 With every picture, Lytro records the entire raw data from the light field sensor. This means that future features, for example native 3D display, can be supplied at a later time through software updates, and (in most cases) added to all pictures already taken. Starting at 399 Dollars, the camera is (in our opinion) relatively cheap, considering the technological novelty of the product. Other light field cameras, e.g. by Raytrix, are in the range of several thousand Euros (and thus clearly designed for the industrial market). Europoean pricing is expected to be announced tomorrow. 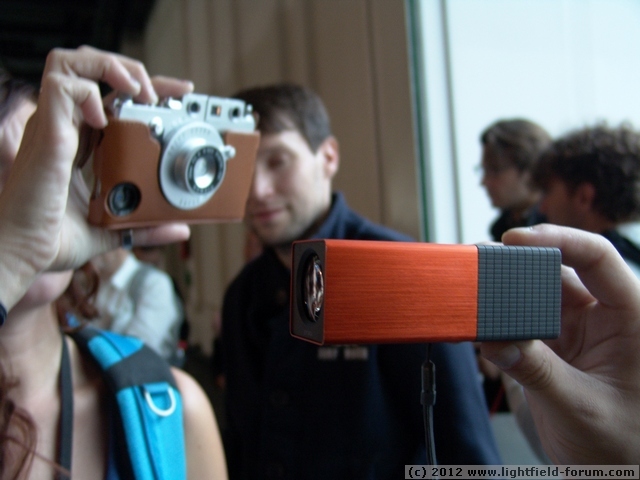 Lytro’s first Light Field Camera opens exciting new possibilities, which fascinate the young and old alike. If you’re interested in photography and new technology, you’ll likely have a lot of fun with it. Being the first product of an entirely new device category, there are of course also some shortcomings. Altogether, I wouldn’t want to miss the camera: Lytro photography is fun, creative, and engages viewers in an individual, interactive experience. If I’ve just sparked an interest in Lytro Pictures, there are some interesting examples in Lytro’s official picture gallery. 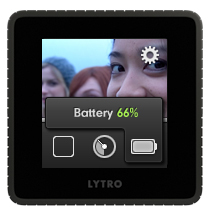 I also invite you to have a look at my personal Lytro album. More information regarding light field technology, available cameras and current prototypes are available via the navigation bar above.